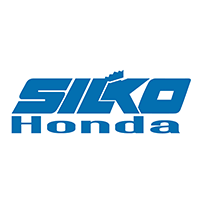 Honda Motors and Silko Honda are committed to driver and passenger safety. That’s why when a problem is ever detected in the design or manufacture of a Honda vehicle, a recall is issued. This proactive step is meant to get the problem fixed quickly, easily, and completely before it ever affects people on the roads. Honda is currently carrying out a recall to fix an issue with airbag inflators. As always, this issue will be taken care of at no cost to you, and if the work takes longer than expected you will be provided with a complimentary rental car or loaner vehicle. A list of affected appears below. Where Do I Find Out about Recalls? In most instances, you will be notified directly if a recall has been issued for a vehicle that you have purchased. You can also enter some basic information about your vehicle on this Honda Recalls page and instantly find out if there is a recall for your vehicle. Where Do I Go in the Event of a Recall? The service center here at Silko Honda knows about every recall that is issued by Honda and exactly how to get the issue fixed. You can bring your vehicle to our facility and one of our Honda mechanics will perform the necessary work according to the automaker’s exact specifications. In some cases it may be necessary to order parts in advance of the repairs, so we invite you to call us at (508) 880-5500 or schedule service online if needed. How Much Does a Recall Cost Me? The problem with your vehicle is no fault of your own, so you will not be charged anything to have your car worked on in the event of a recall. All you will need to do is get your vehicle to our dealership, and we will handle everything else as quickly as possible, and at no cost. Your safety is important to us, which is why it’s important to take the recall process seriously and bring your vehicle into the dealership as soon as you can. If you have any questions at any point, please contact us.